Make it your own! We provide a wide selection of options. The choice is up to you. Promote your group. 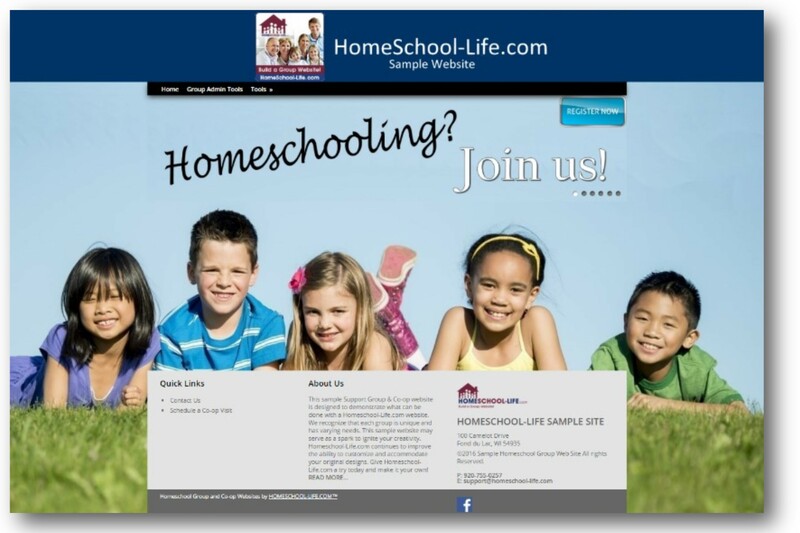 Draw local homeschooling families into your group by selecting colors and headers that are inviting and incite interest. Upload your logo. Promote who you are and what you provide by the images you display on your website. We help you by offering hundreds of options. If you cannot find what you are looking for, select “custom” and upload your own. We offer rotating headers, slideshows, footers, widgets, navigation options, and more! You will enjoy the powerful design options at your fingertips with no design experience required. Or keep the default. When we prepare your website it comes complete with colors and a theme. You are welcome to keep the default if marketing and web design is not your thing. It’s that easy!